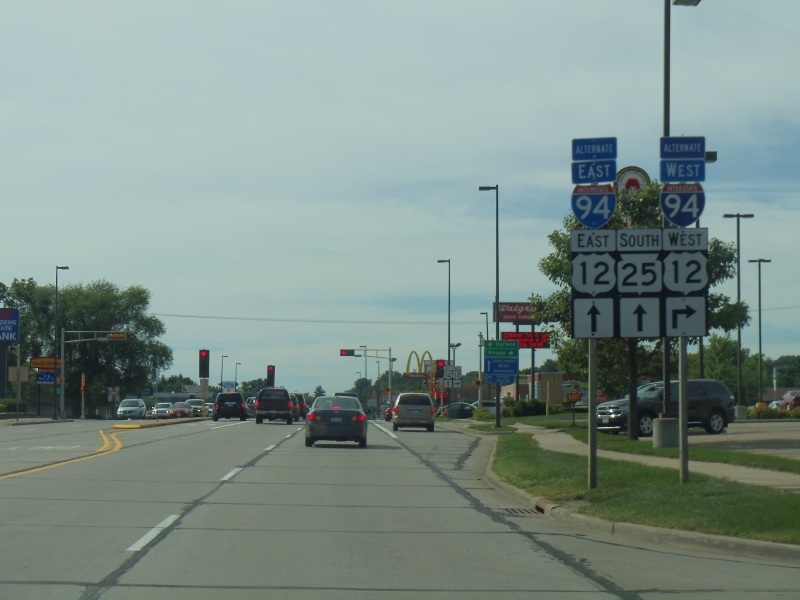 Quickie Summary: State “Trunk” Highway 25 heads pretty much straight north-south through rolling farmland and hard-working small towns across western Wisconsin. As you head south, the hills and valleys get bigger and the vistas ever more attractive as you approach the Mississippi River and the Great River Road. 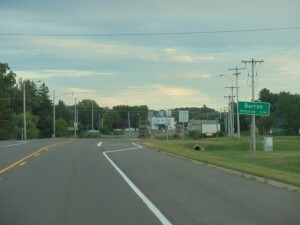 The Drive (North to South): Highway 25 starts at Highway 48 between Cumberland and Rice Lake and makes a beeline south to Barron (pop. 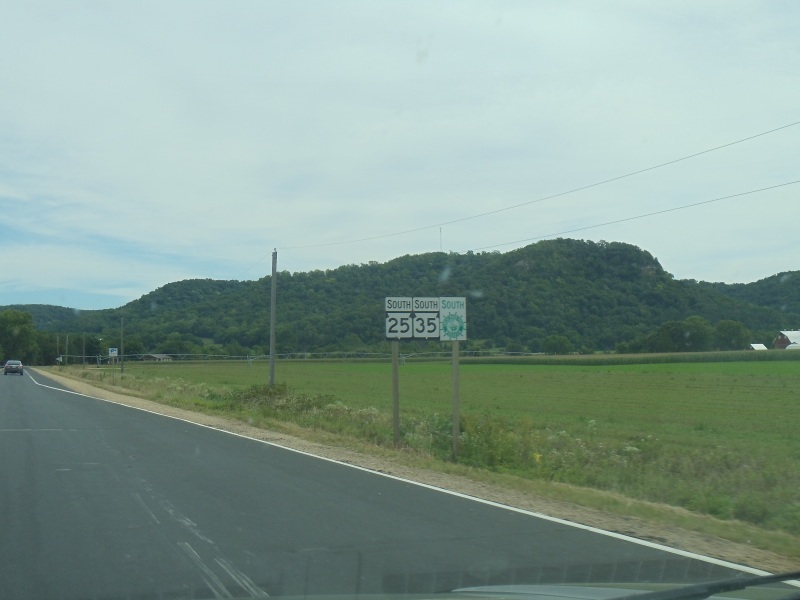 3,320), county seat of Barron County and “Turkey Capital of Wisconsin,” since it’s home to one of the largest turkey processing plants in the nation. 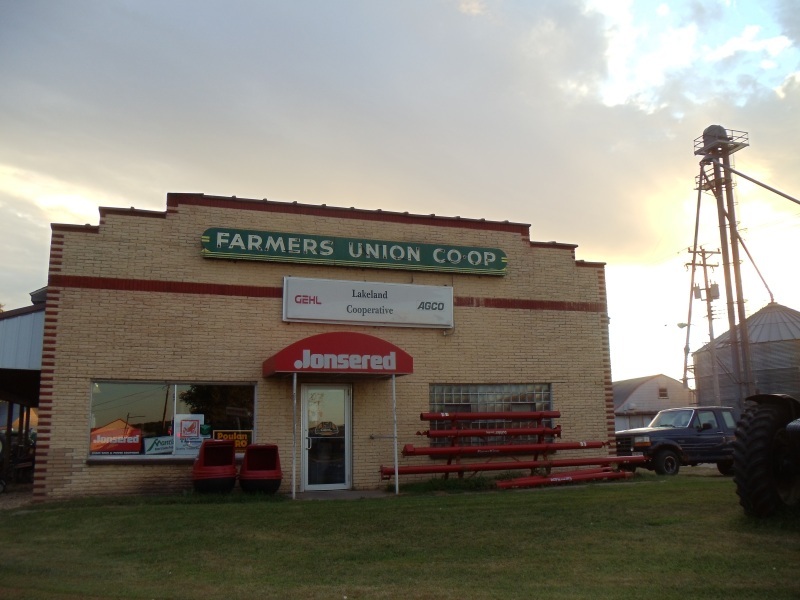 You can find the Jennie-O Turkey Store (34 N. 7th Street, 715-537-3131) and their massive processing plant pretty much where Highway 25 and U.S. 8 come together in downtown Barron. 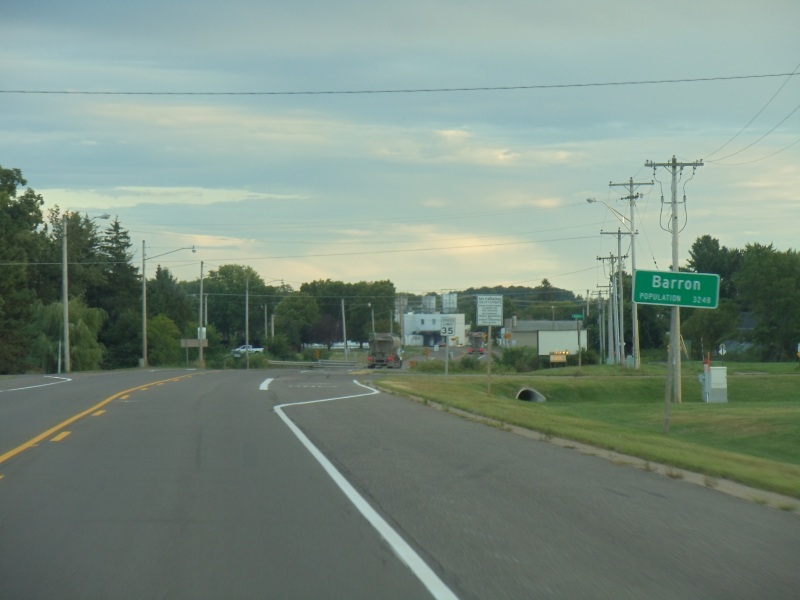 Highway 25’s entrance into Barron is hardly exciting. Sheesh, on U.S. 8 they at least have a sign telling you you’re entering the Turkey Capital of Wisconsin! South of Barron, Highway 25 traverses farmland and rolling hills, some of which roll quite high and low: vistas can be quite pretty in these parts, especially when the sun is at a strong morning or evening angle. 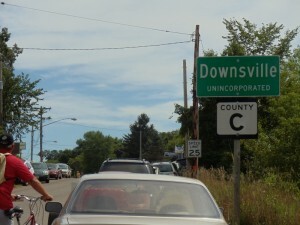 You pass through the small settlement of Hillsdale, and to the east via County U, O, or A is the hamlet of Dallas (pop. 409). Like its Texas counterpart, it was named after George Mifflin Dallas, the 11th VP of the United States – he served from 1845-1849. 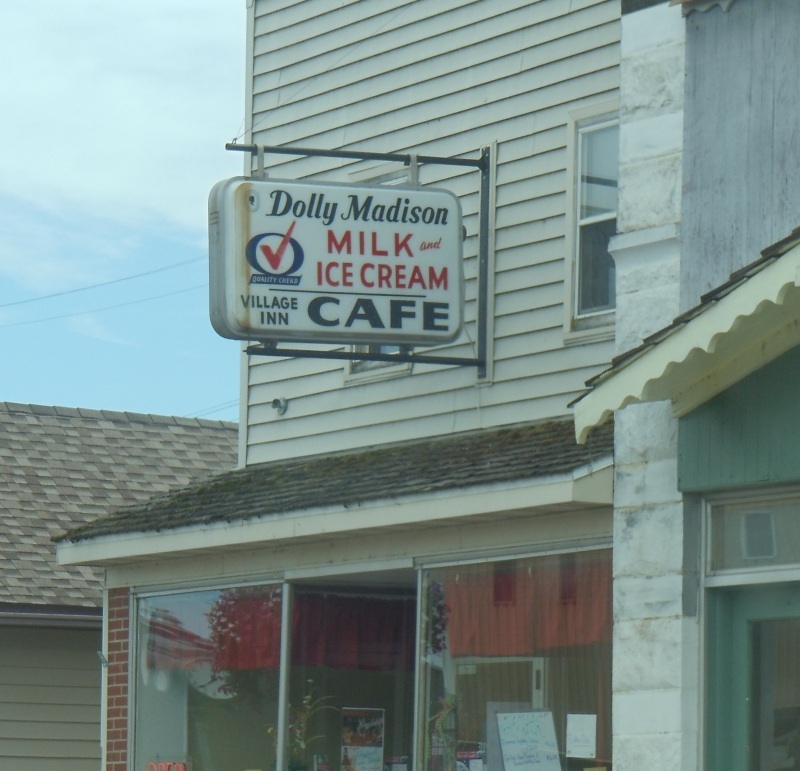 Founded in 1870, the Wisconsin version of Dallas remained a bit smaller than the gargantuan one 1,200 miles south. But it does have the Valkyrie Brewing Company (234 W. Dallas Street, 715-837-1824), a microbrewer that started up in 1994 as Viking Brewing and has been rolling in some awards for its craft beers. Tours are available every Saturday at 1pm or by appointment. We still need to get there, but it’s on our list! 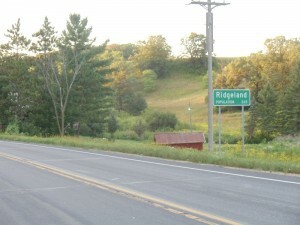 Back to the Highway 25 main line: just inside Dunn County, you go through Ridgeland (pop. 265). Originally called Annesburg, it was renamed because of the wooden ridges flanking the settlement. It was originally constructed to be a model community for railroad workers. They celebrate Winter Pioneer Day every year, having just celebrated their 30th in 2012. A “chicken drop/chicken fly” was deemed controversial a few years back; we found a video from 2011 to see how it’s been done more recently, along with kids racing after treasure in a hunt… the things you stumble upon! Check it out here. The calm after the storm: after a thunderstorm, the following sunshine generated this pleasant scene just south of the Dunn-Barron county line near Ridgeland. It’s a serene ride as you enter Ridgeland. Note the small ridge just off the roadway. 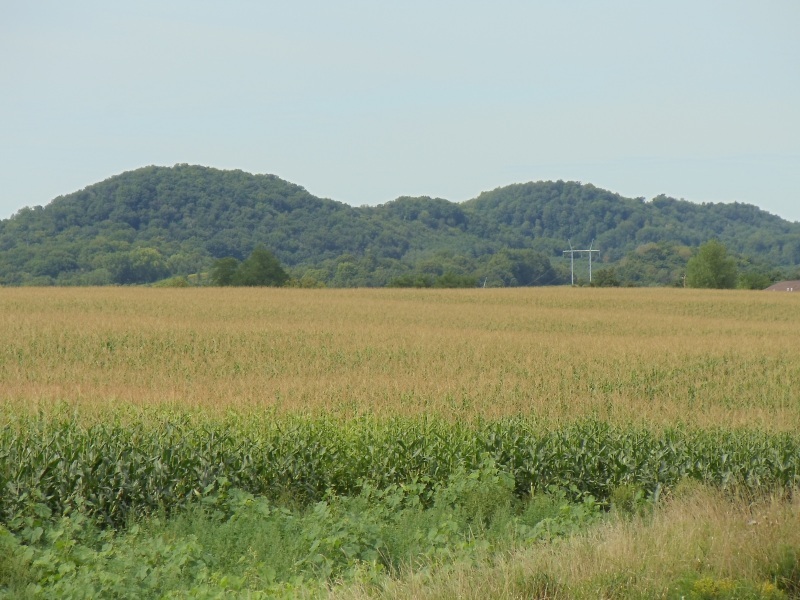 Farmers’ cooperatives continue to operate in rural Wisconsin, helping farmers deal with everything from fuel to waste disposal. This building in Ridgeland sports an original-looking neon; Lakeland Cooperative apparently dates back to 1931, and if that’s the case, I’m thinking the sign is an original. Plus, the sky looked cool at that moment. South of Ridgeland, the topography stays rolling for a bit as you meet up with Highway 64 for a brief combined jog west. Heading south again, it’s a quick to – and through – Wheeler (pop. 317). You pop over the Hay River, meet Highway 170, and continue south past some access points to the Red Cedar River, which shows up again shortly. 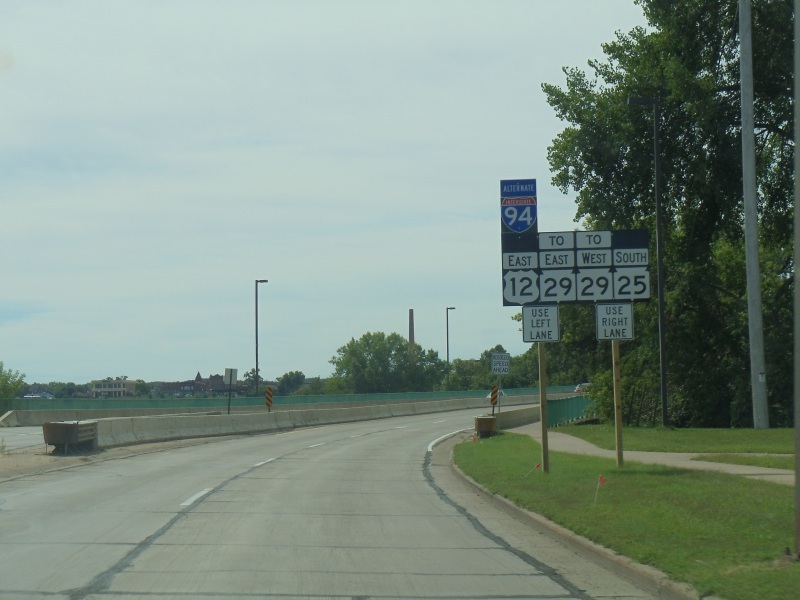 As you approach I-94 (the only freeway crossing on this tour), you start noticing something: a lot of development. That’s because you’re entering Menomonie (pop. 16,264), by far the largest city along Highway 25. 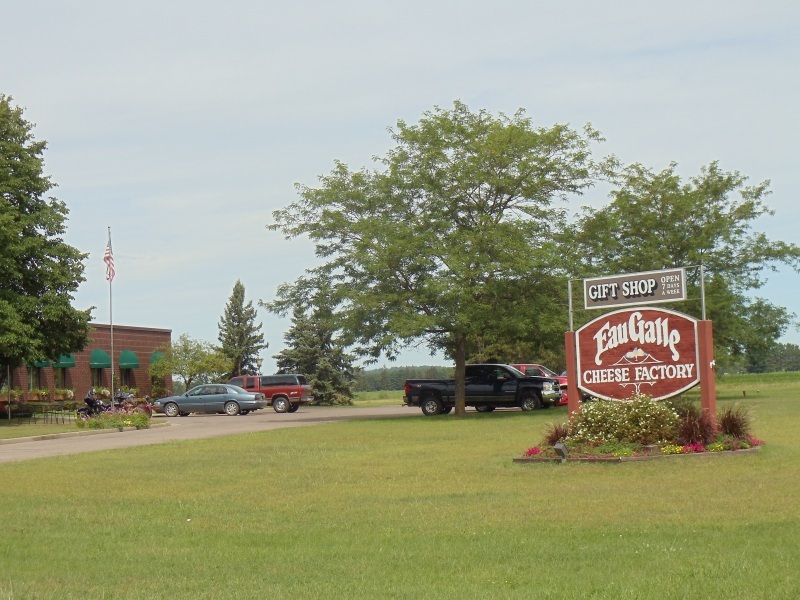 The exit with I-94 – which Exit #41 along the Interstate – is the busiest exit between Hudson and Eau Claire and offers plenty of services. 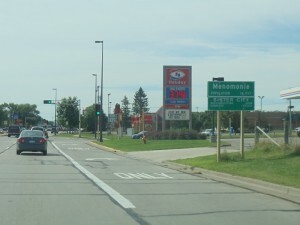 Highway 25 officially enters Menomonie just south of the interchange with I-94; U.S. 12 comes in from Knapp, Hudson, and points west to join Highway 25 on the north side of Menomonie for the ride into downtown. There’s a long line of fast-food restaurants, car dealers, and other developments that you don’t see much of anywhere else along 25. Menomonie sprung up because of its handy location on the southern shores of Lake Menomin, a reservoir section of the Red Cedar River (yes, it showed up again! 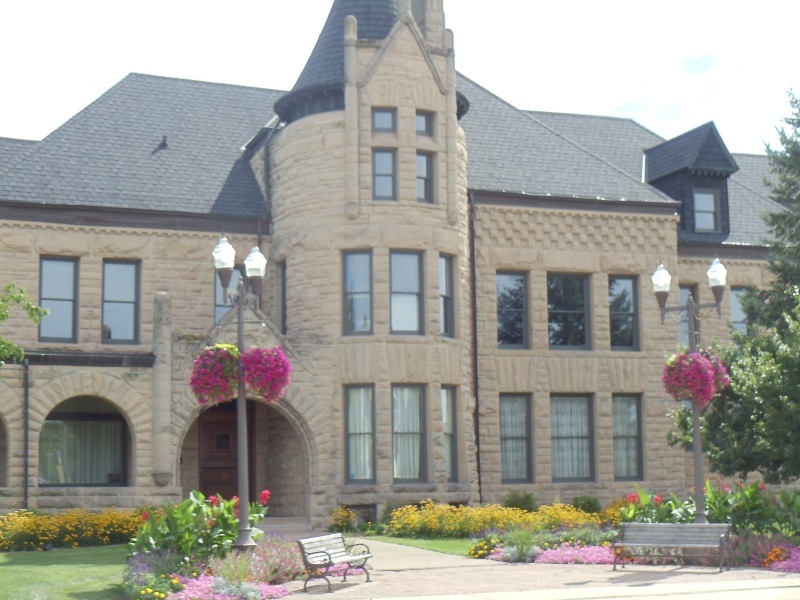 ), which bisects both Menomonie and Dunn County. 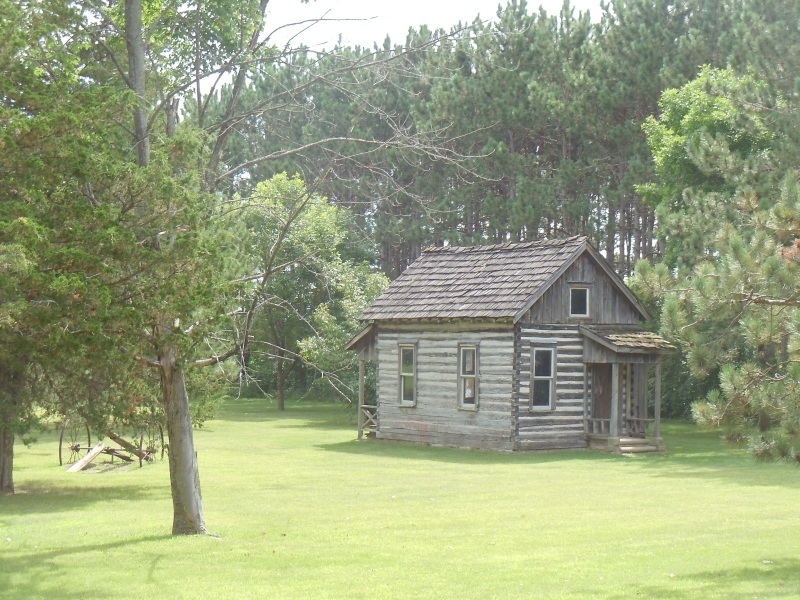 Consistent settlement in Menomonie dates back to 1830, predating Madison, St. Paul, and Eau Claire. Rapid growth in lumber production during the 1850s and 1860s did a few things: it gave Menomonie the gravitas to snag the Dunn County seat, it gave the city bragging rights as home to the “greatest lumber corporation in the world” for a while (Knapp, Stout & Company produced over 5.7 million board feet of lumber in 1873 alone), and it produced enough population and wealth to create a university campus (today’s UW-Stout) and now-historic landmarks like the Mabel Tainter Theater. 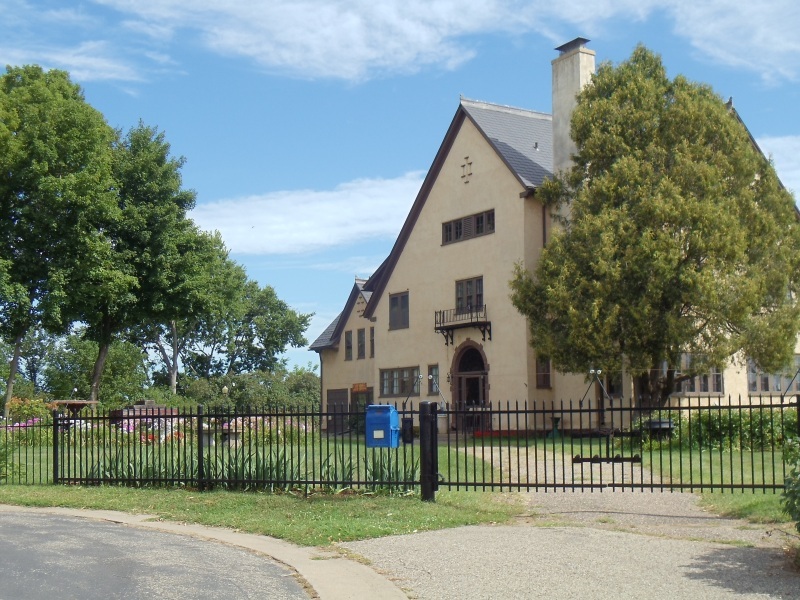 Just south of where you cross I-94 and U.S. 12 joins in for the ride, you can angle east on Pine Avenue to the Rassbach Heritage Museum (1820 Wakanda Street, 715-232-8685). Tucked behind local schools and athletic fields, the Rassbach Heritage Museum traces Dunn County’s history and features exhibits involving early automobile design, folk art, lumber milling, a children’s discovery area, and more. You’re driving through the heart of Dunn County on Highway 25, why not find out more about its history? 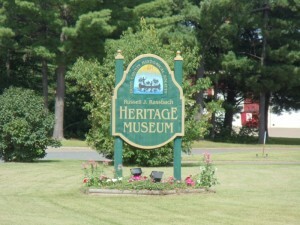 The Russell Rassbach Heritage Museum, just east of Highway 25, offers a look at the city and county through the centuries. There is a Menomonee River in Wisconsin, and a Menomonee, Michigan across from Marinette; the Muppets even had a song called Ma-Na-Ma-Na. But this Menomonie, with its slightly different spelling, is the one that tends to confuse people. Menomonie is a college town; it’s home to UW-Stout, named after one of the early settlers who had a hefty hand in the lumber business and became a U.S. Senator to boot. 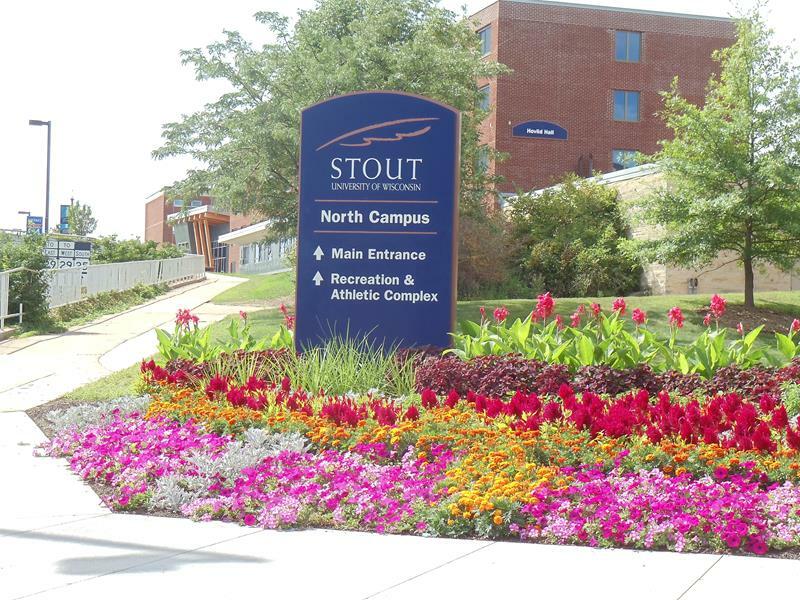 Founded in 1891 as the Stout Manual Training School, it went through several name changes before becoming Stout State University in 1964 (first time it was named as a “university”) and then UW-Stout when the University of Wisconsin system consolidated in 1971. In 2007, UW-Stout was officially designated as “Wisconsin’s Polytechnic University” by the UW System Board of Regents… so if you want to study polytechnics, this is the place to go. Today, UW-Stout has about 9,300 students and the campus covers 131 acres. Highway 25 is rarely a four-lane road – in fact, this is only time it is – but it’s a busy ride on some days into downtown Menomonie as connections with I-94, U.S. 12, and Highway 29 are all part of the ride through town. Highway 25 winds extensively thru Menomonie, combining with Highway 29 and U.S. 12 downtown. Like River Falls, Menomonie is a college town, home to UW-Stout, named after one of the early settlers who had a hefty hand in the lumber business and became a U.S. Senator to boot. Founded in 1891 as the Stout Manual Training School, it went through several name changes before becoming Stout State University in 1964 (first time it was named as a “university”) and then UW-Stout when the University of Wisconsin system consolidated in 1971. In 2007, UW-Stout was officially designated as “Wisconsin’s Polytechnic University” by the UW System Board of Regents… so if you want to study polytechnics, this is the place to go. It’s also a pretty well-respected hospitality school. Today, UW-Stout has about 9,300 students and the campus covers 131 acres, some of which abut and cross Highway 29 going through town. Menomonee certainly has its share of industry for a town its size. Enjoyed Swiss Miss Cocoa lately? There’s a good chance that it was made in Menomonie. Same for Sanalac nonfat dried milk, all part of a large ConAgra facility here. Windows, metal food cans, iron fittings, and a variety of machinery parts make Menomonie a manufacturing center. 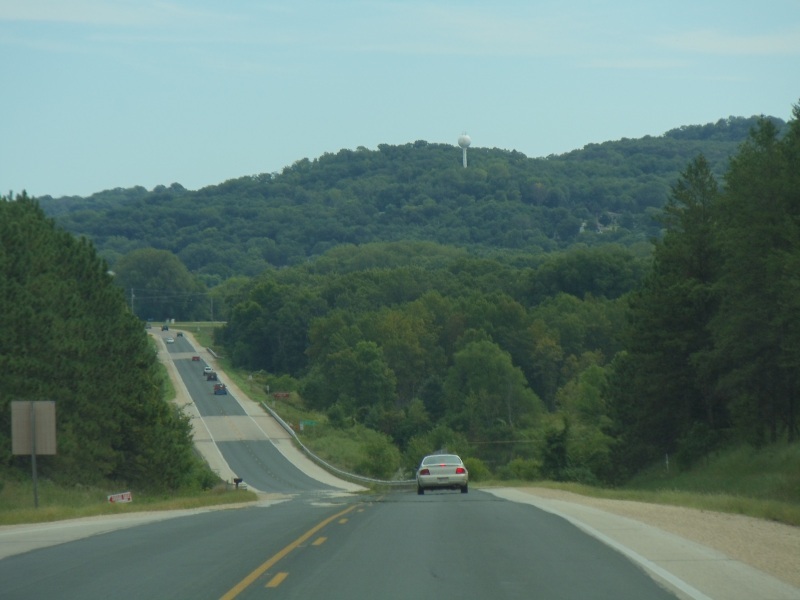 Leaving Menomonie, you start to see more evidence that you’re entering the “Driftless Area” of Wisconsin, where hills, bluffs, and valleys become a larger part of the landscape. This is the part of the state that the glaciers went around more than over, either preserving or forming landscape features that make the area ahead of you one of the most attractive in the Midwest. 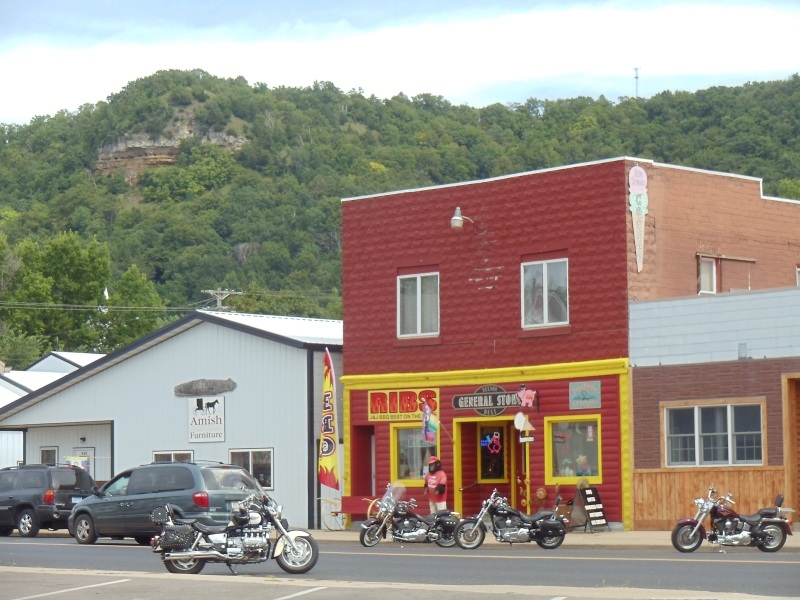 Back to a serene ride south of Menomonie, more indications that you’re entering Wisconsin’s “Driftless Area” show up, with more pronounced hills and bluffs along the way. The next settlement you reach is Downsville (pop. 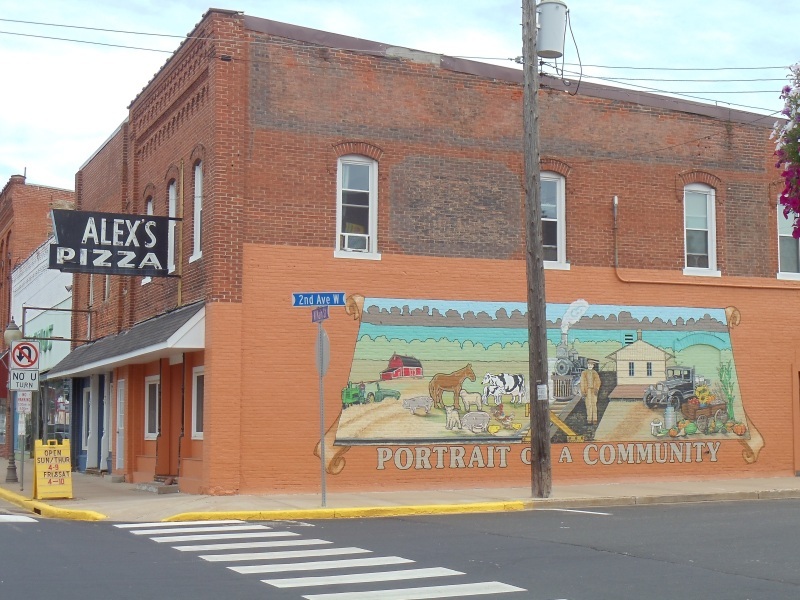 146), an unincorporated community along the Red Cedar River & Trail that features some charming specialty shops. 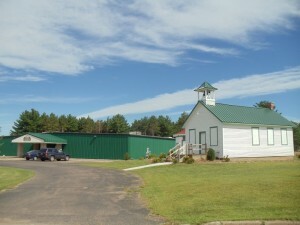 It has plenty of parking and facilities for trail users. Just off Highway 25 via County C, Downsville has the Empire in Pine Museum and was the home for Caddie Woodhouse, who as a girl was author Carol Ryrie Brink’s inspiration for the popular children’s book Caddie Woodlawn. 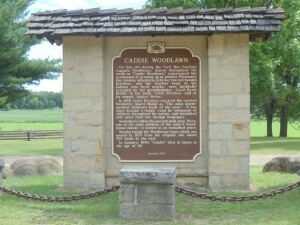 Brink grew up along Highway 25; you can see the childhood homestead (and setting for the book) in Caddie Woodlawn Historic Park just south of Downsville, about three miles south of the intersection with Highway 72. 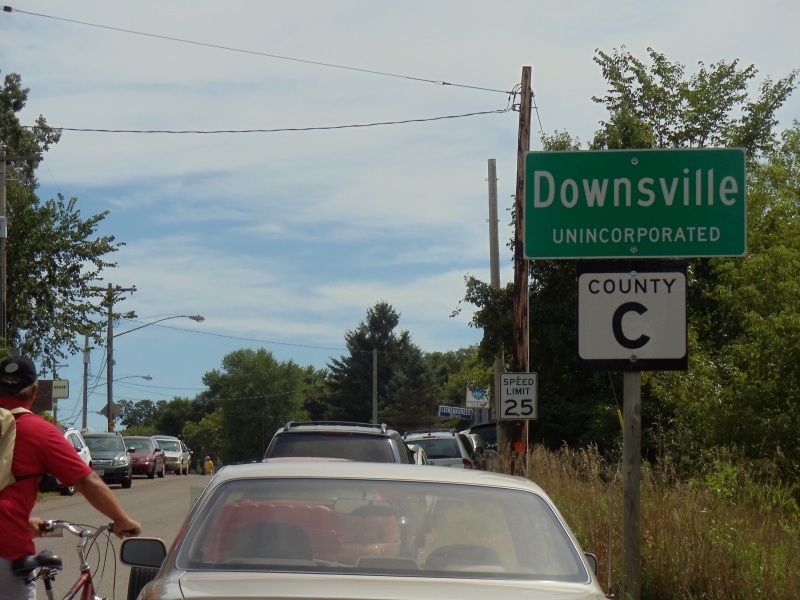 We found Downsville, centered on County C just off Highway 25, during their annual “Downsville Days,” so traffic was busier than usual. 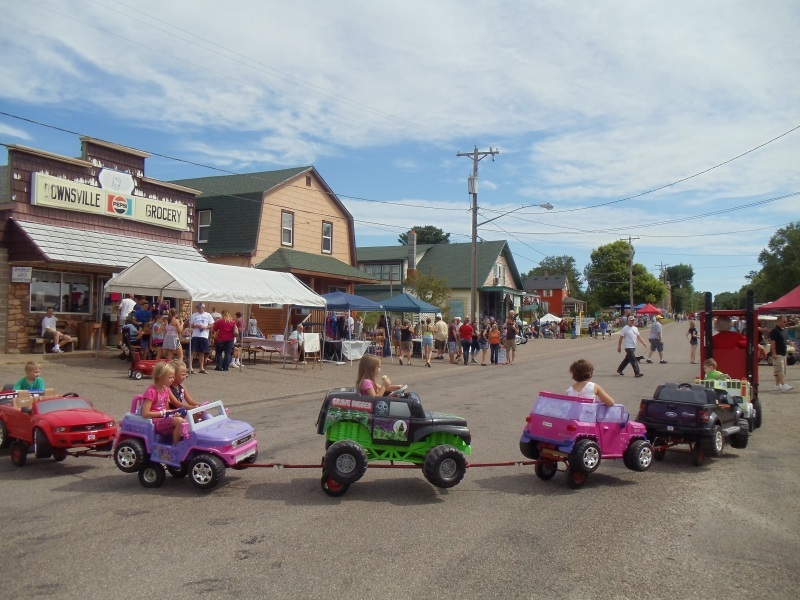 We stumbled upon the town during “Downsville Days”, and kids were enjoyed a little tug ride in mini railroad cars. 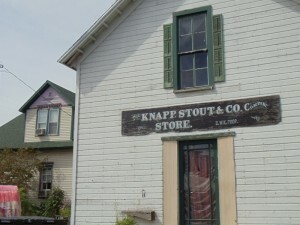 Part of the Empire of Pine Museum is the “Knapp, Stout & Co” store. 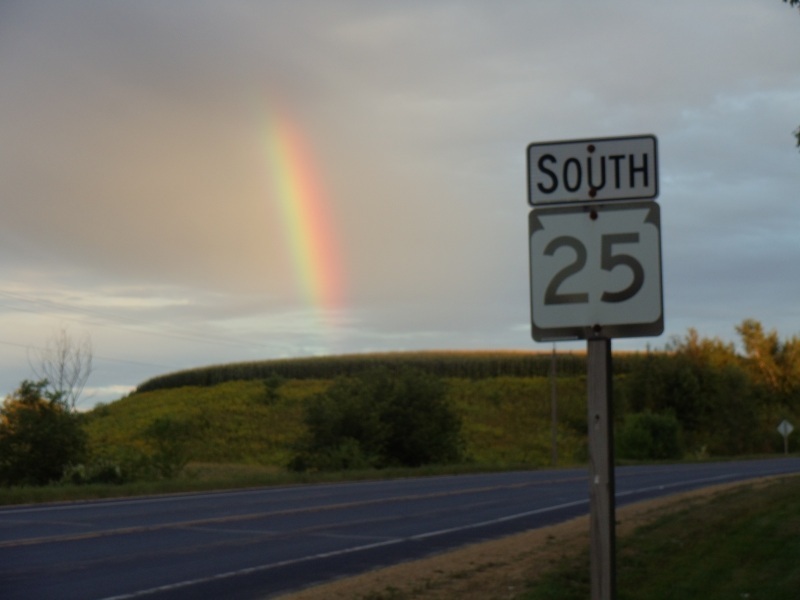 Continuing south on Highway 25, you enter Pepin County, which was carved out of the original Dunn County in 1858. 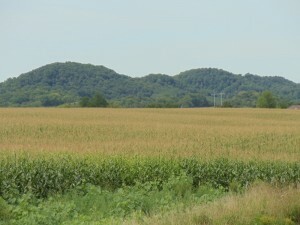 Right by the county line you pass Waubeek Mound, which peaks at 1,150 feet. To the east, the Chippewa River starts coming close to the highway. 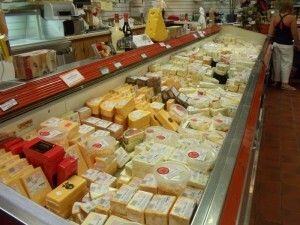 Along this stretch, you’ll find the Eau Galle Cheese Factory (N6765 State Highway 25, 715-283-4276). 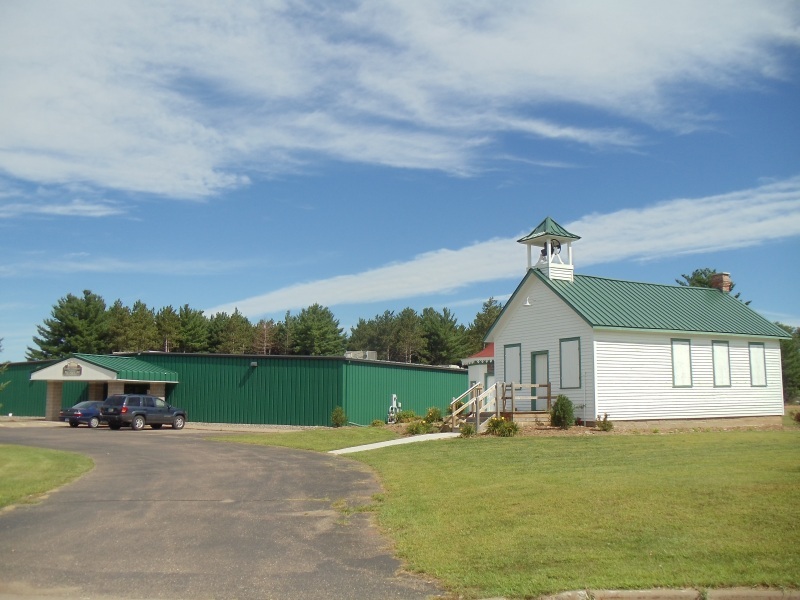 Founded in 1945 in nearby Eau Galle (an actual village up the river of the same name a few miles away), the current facility along the highway opened in 1986. Eau Galle produces millions of pounds of cheese each year and has won numerous awards, plus an appearance on the Today show. 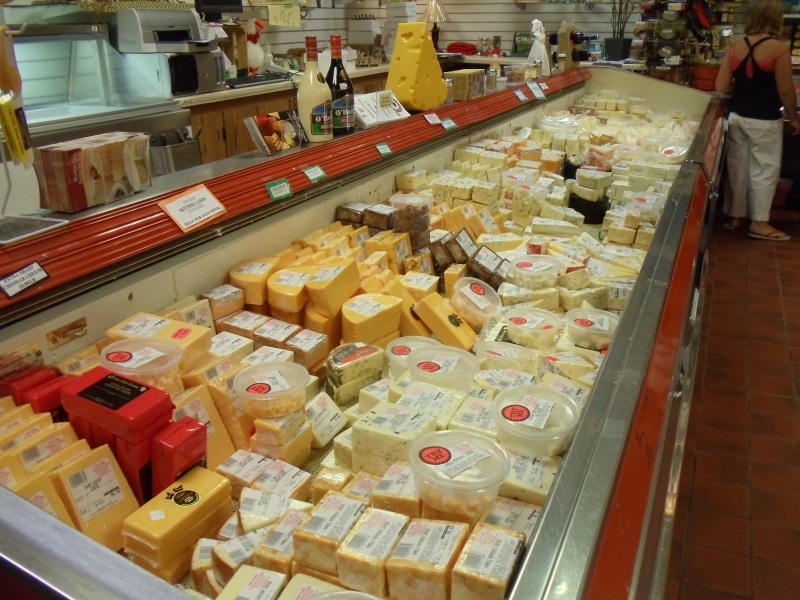 The Eau Galle Cheese Factory along Highway 25, which offers up plenty of cheese, sausage, and Christmas items…it’s just something you have to see. 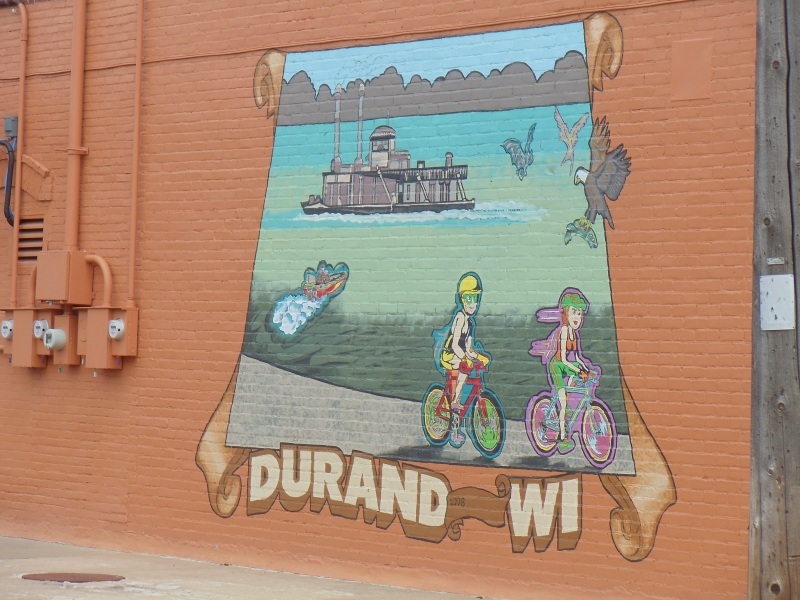 Shortly past the Eau Galle Cheese Factory, you reach U.S. Highway 10 and join it for the ride across the Chippewa River to Durand (pop. 1,968). Originally named Bear Creek, it was first settled in 1856 and incorporated in 1887. 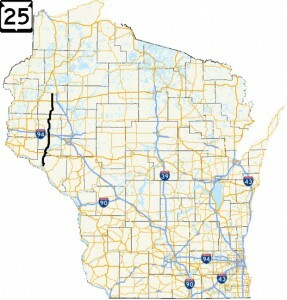 The Chippewa River runs 183 miles through northwestern Wisconsin, and at Durand you’re about 15 miles upstream from the Mississippi; the city bills itself as the “Gateway to the Lower Chippewa River.” Highway 25 stays with U.S. 10 past the northern edge of downtown before turning south just east of downtown. At that point, Highway 85 begins and heads northeast towards Eau Claire; U.S. 10 eventually heads east toward Osseo, Marshfield, and Appleton. Approaching Durand on Highway 25 & U.S. 10, you traverse some hills and get a nice view before approaching the bridge over the Chippewa River. Downtown Durand is tucked along the banks of the river. 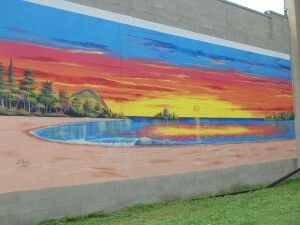 Murals are on the sides of many buildings on a variety of blocks. 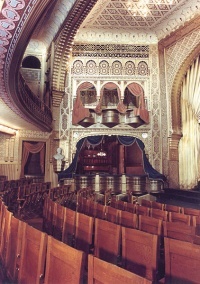 The Durand Theatre (110 E. Main Street, 715-672-3456) is a centerpiece of Main Street, and a number of businesses, eating and drinking establishments, and some riverside parks. 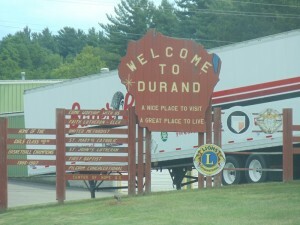 Durand has a number of festivals each year, along all along the river. 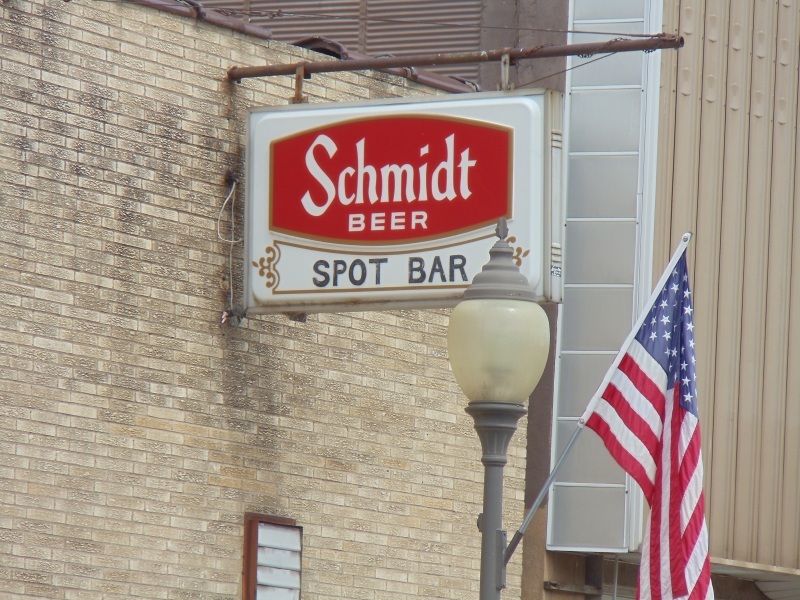 Older signs in these towns are always cool to see, including a sign for the Village Inn Cafe that features Dolly Madison, and a tavern with a Schmidt beer sign – Schmidt’s seems to have been a pretty popular beer here through the years. Durand is the seat of Pepin County. 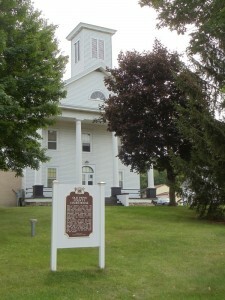 The original Pepin County Courthouse, built in 1873-1874, is Wisconsin’s last remaining wood-frame courthouse. Pepin is by far the smallest county by land area in Wisconsin, at 249 square miles – Ozaukee County in the Milwaukee metro is second-smallest… at 1,116 square miles. 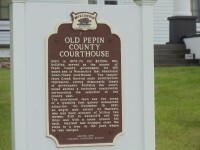 With about 7,500 residents, Pepin is also the 4th-least populated county in the state. 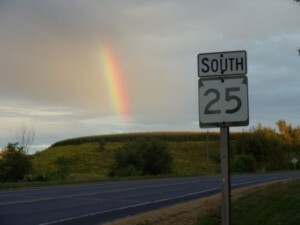 South of Durand and crossing into Buffalo County, Highway 25 parallels the Chippewa River. Much of the way between the highway and the river for nearly 10 miles is an expanse called the Tiffany Bottoms State Natural Area. Part of a large floodplain forest, Tiffany Bottoms encompasses the delta area of the Chippewa River as it flows into the Mississippi – the most extensive river delta in the Midwest. 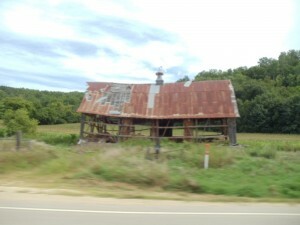 Along Highway 25 between Durand and Nelson, Tiffany Bottoms State Natural Area is to the west, as are some farms – some of which are abondoned, resulting in shells of former buildings like this one. With Tiffany Bottoms to the west and nothing more than a few settlements around street junctions, Highway 25 is peaceful, pleasant ride. 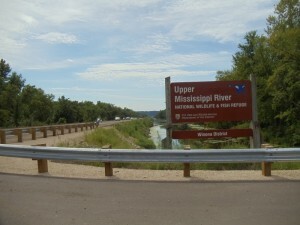 Soon, you hook up with Highway 35 and the “Great River Road” for the ride into Nelson (pop. 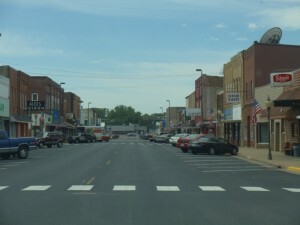 395), a small Mississippi River town known to most as being the home of Nelson Cheese Factory (S237 State Road 35 South, 715-673-4725), which sits just south of the Highway 25/35 junction in the heart of Nelson. Highway 25 meets Highway 35 for the trip into Nelson; at this point, you’ve joined the Great River Road and the bluffs that line the Mississippi start showing up. 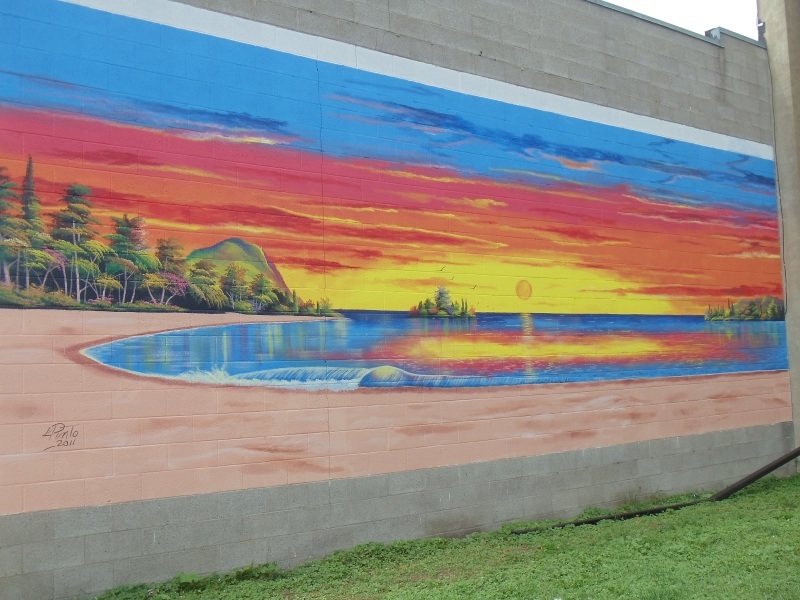 Once into Nelson, several stops are popular with travelers and bikers, from the Nelson Cheese Factory to cafes and taverns that provide a nice break from the road. The Nelson General Store Deli’s brilliant red wall contrasts with the towering green bluffs behind it. 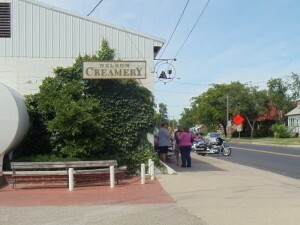 The Nelson Creamery, aka the Nelson Cheese Factory, has been a fixture in the town for over 100 years. 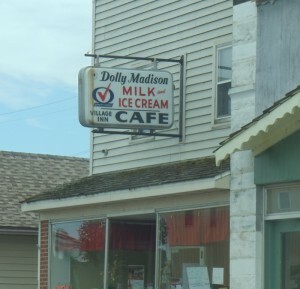 They do a brisk business in mail orders from here, and serve many thousands of passersby who stop in for cheese, fresh ice cream, wines, and other refreshments. 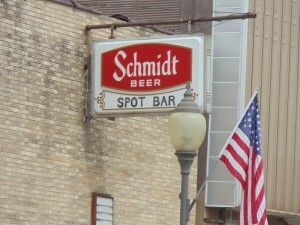 You can relax on their patio or enjoy a cone out front along Main Street. 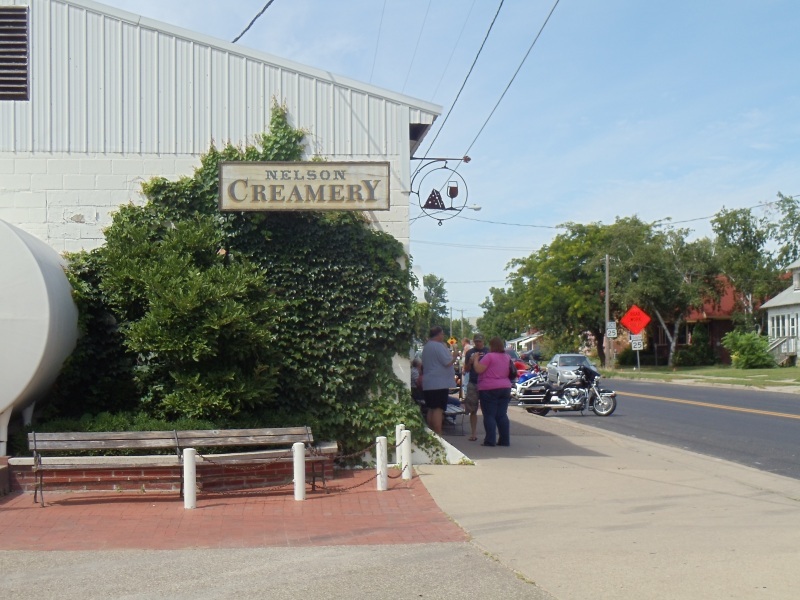 The Nelson Cheese Factory and Creamery have been a local fixture for over a century. 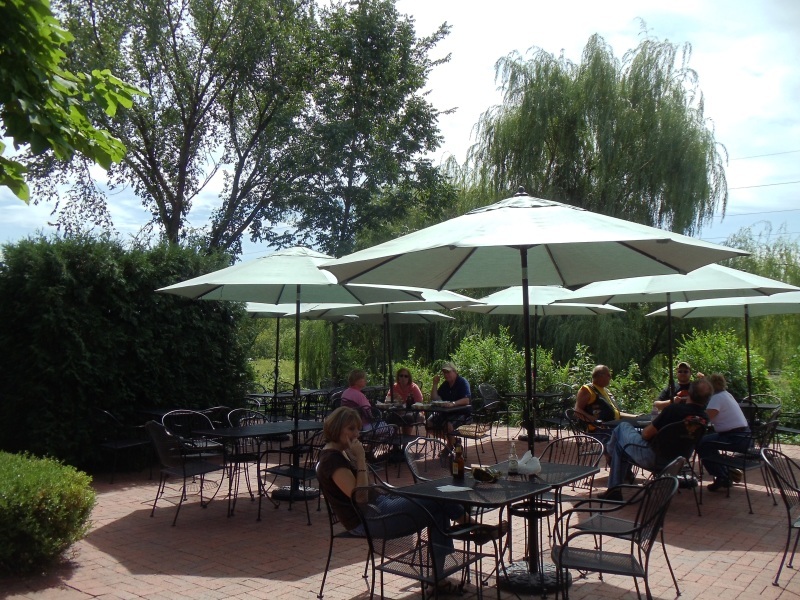 People stop in constantly for cheese, ice cream cones, wine, even snacks, and tend to walk up and down Main Street or hang out on the patio to enjoy them. A room inside also offers musical performances on occasion. 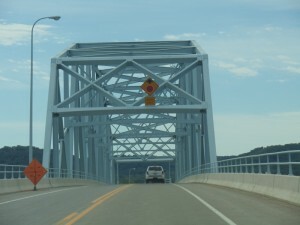 While Highway 35 heads south to the Nelson Creamery and points south like Alma and La Crosse, Highway 25 gets on its final leg – the connection over the Mississippi River to Wabasha, Minnesota. This connection more than just a bridge; it’s a causeway for about three miles before going up and over The Ol’ Miss. You’re going through the Upper Mississippi River National Wildlife & Fish Refuge, Winona District. 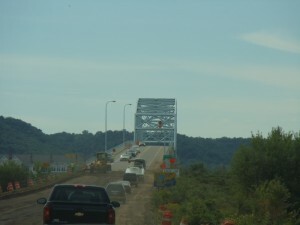 The bridge is called (easily enough) the Wabasha-Nelson Bridge, for the two towns it connects. 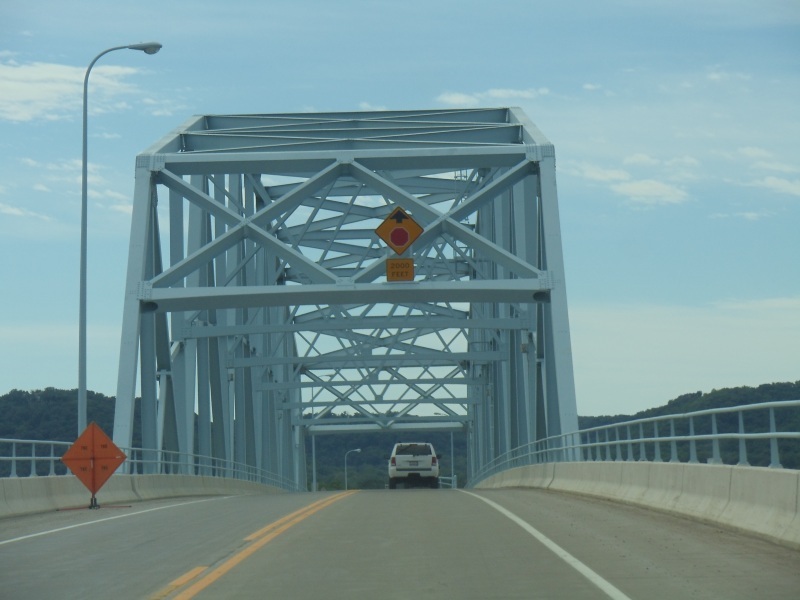 This truss bridge opened in 1988, replacing an earlier structure from 1931. Along this stretch of the Mississippi for a long way is the Upper Mississippi National Wildlife & Fish Refuge. 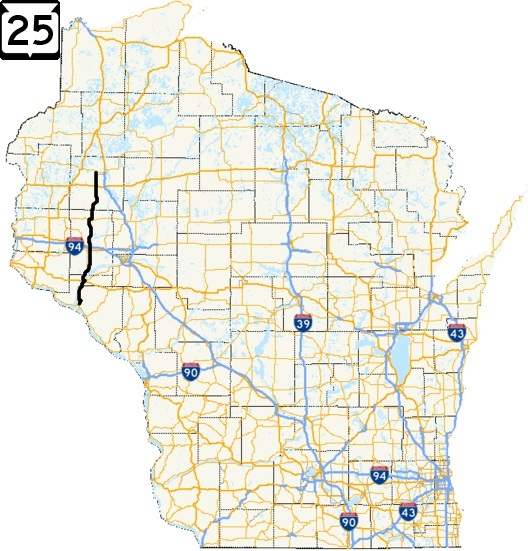 While the main channel of the river varies from several hundred feet to over one mile, the area that roads must transcend to connect Wisconsin and Minnesota often cover 3 or 4 miles because the roads must bring traffic across swamps, wetlands, backwater bogs, and more. 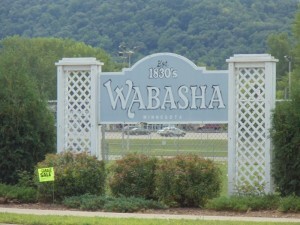 Once across the bridge, Highway 25 (and Wisconsin) ends and you’re on Minnesota Highway 60 in the city of Wabasha. 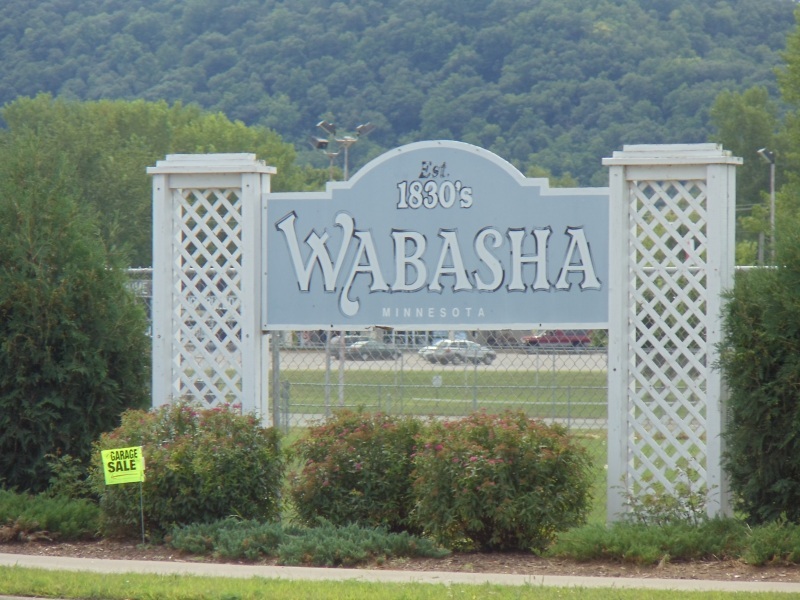 Watch for Vikings fans and fans of the movie Grumpy Old Men and its sequel, since Wabasha is where the movie was set and much of it was filmed. If you’re a fan of eagles, though, the National Eagle Center is a cool stop. 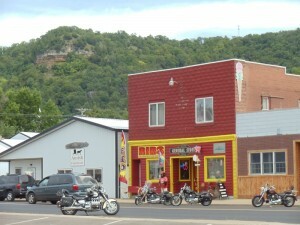 Then turn around and enjoy the ride back into Wisconsin, and check out a trip up or down Highway 35!